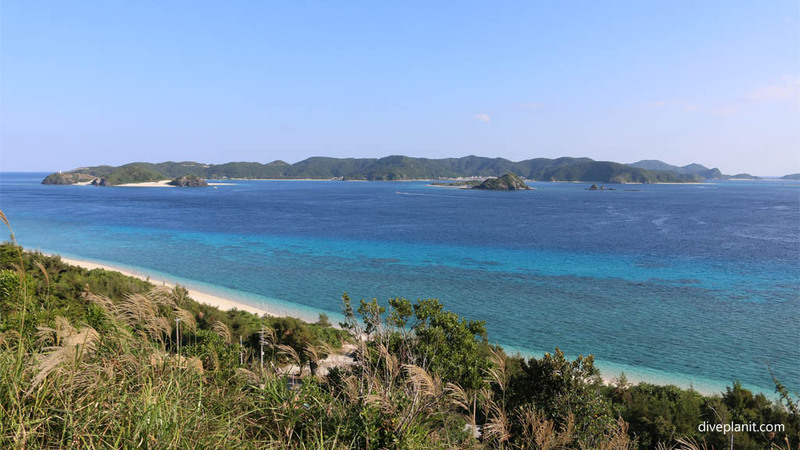 The Kerama Shoto National Park is an island-dotted marine park west of Naha. There are four main islands; Tokashiki, Zamami, Geruma and Aka Island. It’s a popular destination for day trippers, being only a short ferry-ride away from the main island. 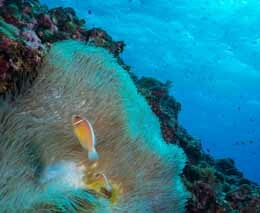 The islands are surrounded by white sandy beaches and pretty coral reefs, where you’ll encounter amazing biodiversity. 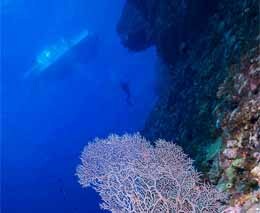 Between January and April, the surrounding waters become breeding grounds for humpback whales and all year you’ll find Kerama deer wandering around most of the islands. 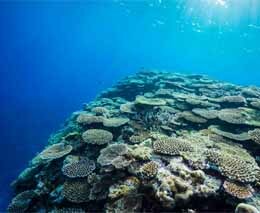 The Kerama islands are between 30km and 50km west of Naha on the southern tip of Okinawa’s main island. 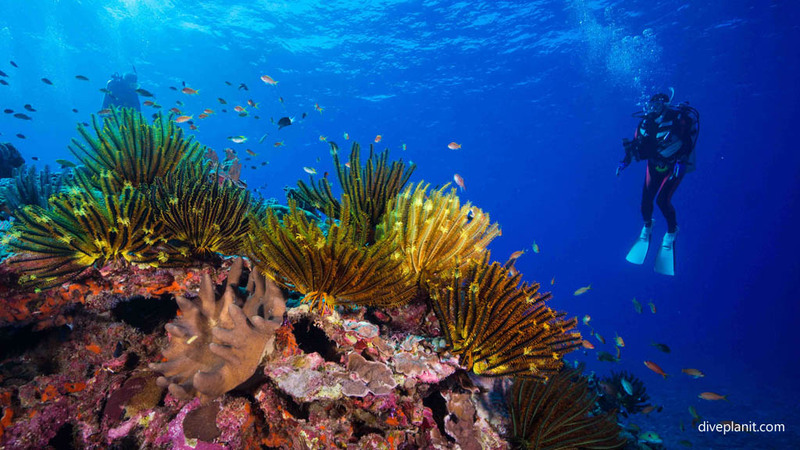 There are several dive operators and dive resorts located on Aka and Zamami Islands which can take you to all the local dive sites – around 50 in total – in this part of the archipelago. Some of these, such as Seasir Marine House, also provide accommodation. 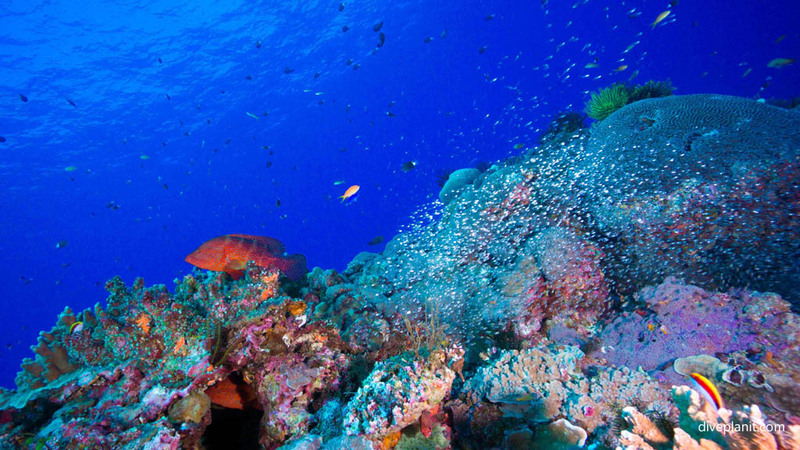 The diving here is everything from shallow coral gardens, to walls, swim-throughs and tall pinnacles. 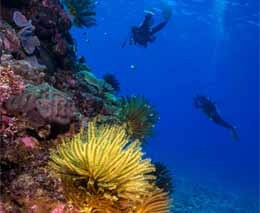 Expect fantastic visibility, usually at least 30m and lots of varied, colourful coral. 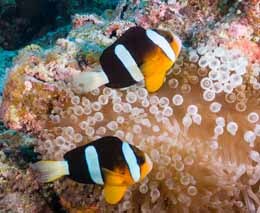 Aka and Zamami islands have mainly pension-style accommodation with breakfast and dinner included, some with their own dive centre, and all within walking distance of the nearest dive shop. 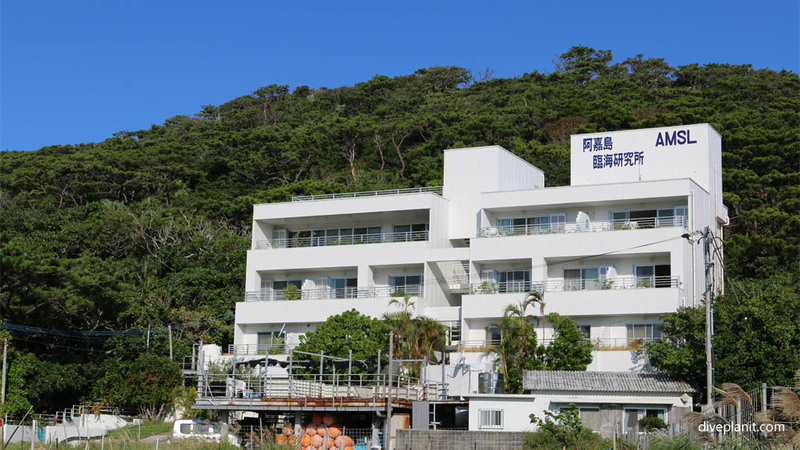 We stayed at Hanomuro Pension a 4-storey complex about 5-minutes walk from the closest dive shop. The rooms were neatly laid out with great views of the village and the food served for breakfast and dinner was superb – a mix of Asian-fusion and European meals, with a choice of decent red or white Chilean wine for around AUD$30 a bottle and local beer for AUD$3.00 a bottle. 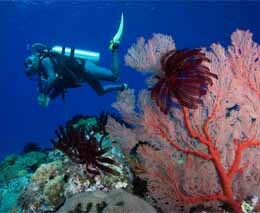 As the accommodation is largely pension-style, meals are included and if you’re diving every day the dive centre will usually provide lunch. There’s no a la carte here – each day is a surprise, a generous set menu. 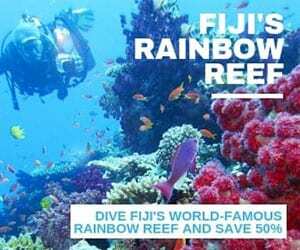 The islands, and the villages on them, are not large so it’s easy enough to walk everywhere – certainly between accommodation and dive shop. To travel a little further into the national park or to more ‘remote’ beaches, most people hire a bike. 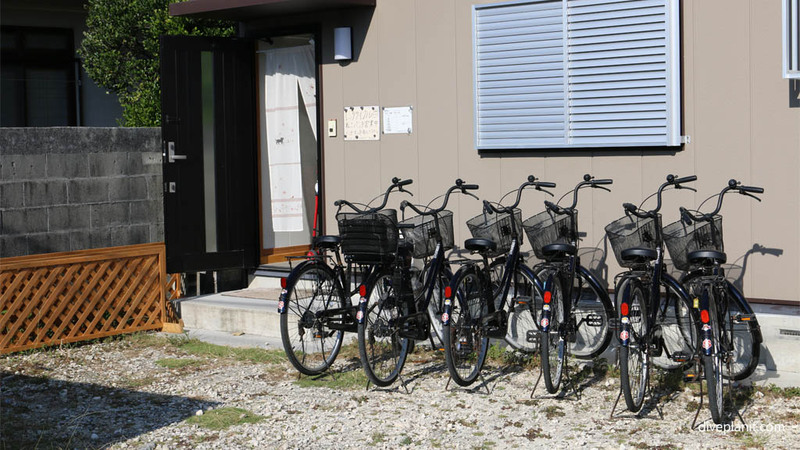 There are several bike-hire places in Aka village, including one at Seasir Marine House. 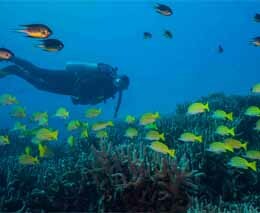 The islands are dotted with beautiful, protected white sandy beaches, most within easy cycling or walking distance. 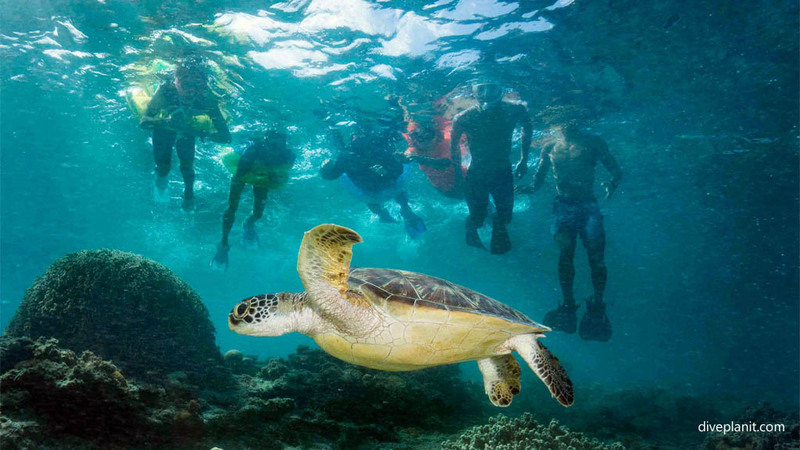 The bay next to Aka’s port area is great for snorkelling, where you are sure to find a few resident turtles. 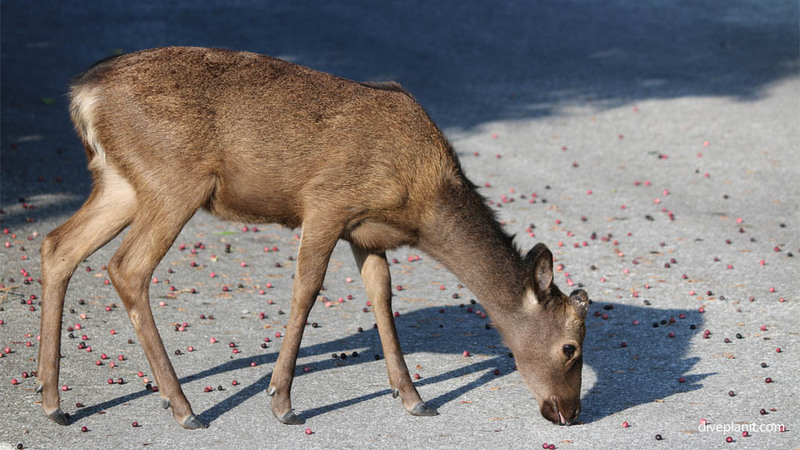 There are plenty of places to hire kayaks, stand up paddle boards and snorkelling equipment and the surrounding parkland has a number of walking tracks leading to lookouts, and you’re likely to spot a few local deer who wander around the village like they own the place. Nishibama Beach is a particularly pretty beach, great for snorkelling, and is a 10-minute cycle or 20-minute walk from Aka Port. 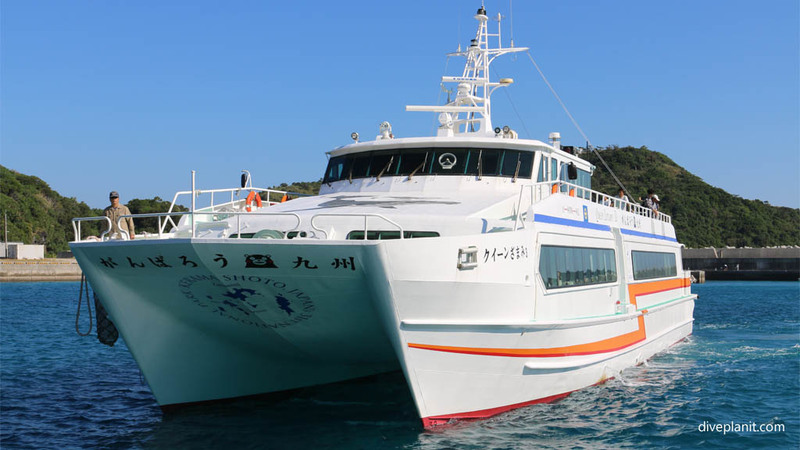 Tokashiki is 35 minutes by ferry and 70-minutes by High Speed Vessel from Naha Port. The same ferry services Aka, Geruma and Zamami Islands which are 120 mins by ferry and 50 minutes by High Speed Vessel. Try and wake up for the sunrise at least once during your stay – it is pretty spectacular.